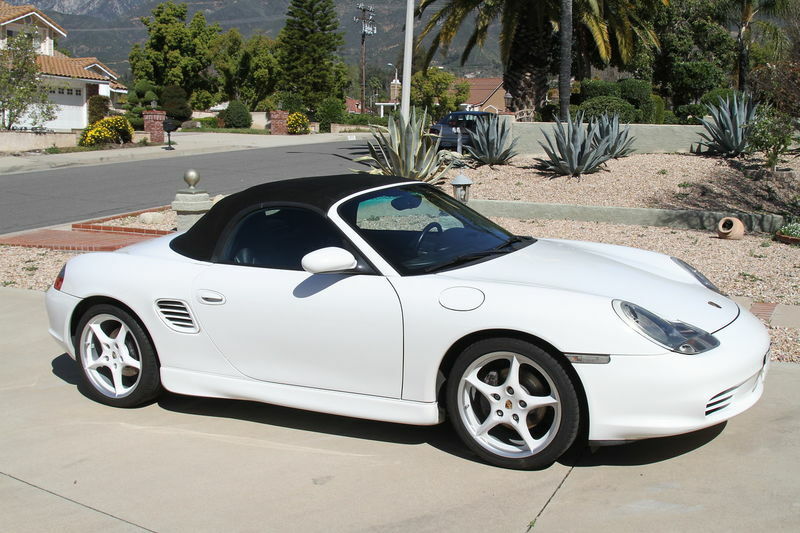 Well I have wanted a Boxster for years and now I have one in the garage. The sad part was the car lived in California and I live in Indiana. We decided to fly and drive and not ship the car. I bought the car from a good friend that knew the car and what had been done to it. The trip was perfect to say the least. Our friends were perfect hosts and we were blessed to drive our P-Car on a large section of the California coast before heading inland and crossing Utah and Colorado on the way home. We covered 3000 miles and the car was flawless. Nice looking car and the perfect way to deliver your new baby. Enjoy it....you are now one of the addicts and welcome to our support group. btw - I like your painted wheels. Thanks Algiorda. My friends here say the wheels need to be black. I am not going to touch them other than to clean. These are 18" wheels with Potenza S04 tires. I am a bit alarmed at how quick these tires wear but I guess that goes with the territory. Black would be a nice addition. Plastidip them and you could always go back to white. Good looking car hope it give you years of fun. On that car with those wheels leave them white. Monochromatic is way cool. Sideskirts are also sweet. Thanks for the kind comments. 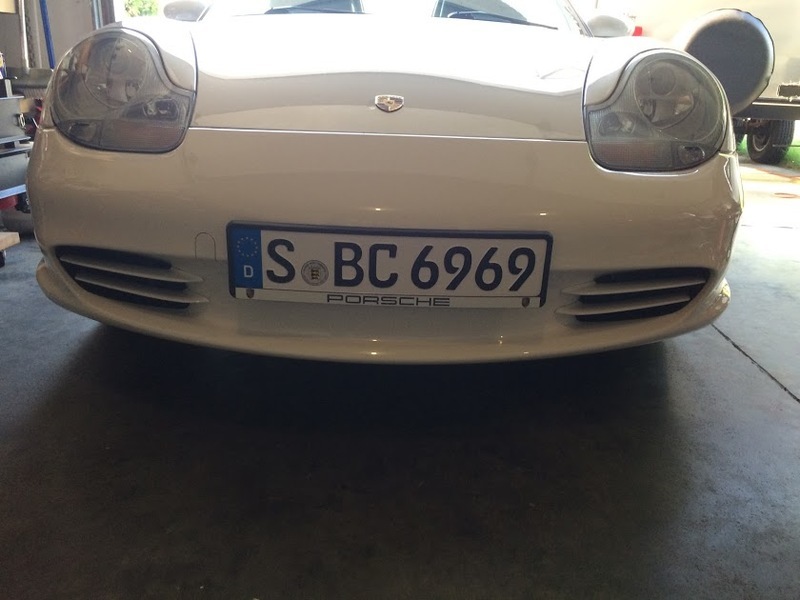 I added a Deutsche plate to the front from Stuttgart. The holes were already there since it was a California car. I was stationed just outside Stuttgart several years ago while in the Army. This plate just happened to have Nicky Hayden's number on it. I can't get over how nice this car is to drive. I hope my license can survive until I get over being a hooligan. Congratulations . Leave those wheels white, the car looks great! The white wheels look great. The car is sharp looking. Drivers events may take away the temptation of being a street hooligan. "The thing with Porsches are they don't drive themselves but the more you drive them the more you want to drive them" Having had 4 911's then my boxster he knew something I didn't! I kind of laughed that off but boy was he right! He also should have added the more you look at them the more you want to look at them. 13 months in and I still smile to myself every morning when I wake up thinking of my drive to work. Enjoy and be prepared to become addicted. Looks fab. Definitely leave the wheels as they are. Black ally's look pretty terrible in my humble opinion.